Coconut water is a nutrient rich fluid which is found in young coconuts. It is also sometimes known as coconut juice, and it is a popular food in many regions of the tropics, where coconuts are grown. Outside of the tropics, some markets carry pasteurized canned or bottled coconut water, and sometimes it is also possible to buy whole young coconuts which can be sliced open for their coconut water. Health food stores sometimes prepare coconut water fresh for their customers by request. Young coconuts are very distinctive, and easy to identify. They have pale green skin which is mottled with dark spots, and their husks are much thinner and less fibrous than those of mature coconuts. When cut open, a young coconut has gelatinous flesh and a clear fluid inside. Over time, the flesh slowly grows solid and the fluid is absorbed, and if the coconut were allowed to germinate, the seedling would feed on the nutrients in the coconut flesh until it was established. The nutrients in coconut water include potassium, magnesium, and vitamin C. The liquid has a clear, simple flavor which some people find very refreshing, and it can be adulterated with various spices and seasonings, like ginger, cinnamon, and sugar. It can be drunk chilled or at room temperature, and some people tout coconut water as an energy-rich beverage which can be consumed to restore the balance of electrolytes in hot weather or during heavy exercise. When a fresh young coconut is available, there are two ways to drink the coconut water. In one technique, a hole is bored into the top of the coconut, and a straw is inserted, so that the coconut water can be drunk straight from the coconut. Once the water has been consumed, the coconut can be split open to access the meat. It is also possible to remove the top of the coconut, creating a lid and reaching the interior, or to crack the coconut open over a bowl to collect the water and spoon out the coconut meat. In addition to being consumed, coconut water has also been used an intravenous fluid in some situations, typically during military engagements, during which medical supplies are sometimes not immediately available. When other fluids are not available for intravenous transfusion, coconut water can be used to raise the volume of the blood, combating low blood pressure while providing some useful electrolytes. Energy - 350 kcal (1480 kJ). Coconut nutritional value may vary from place to place. The taste and thickness of the coconut flesh varies according to the species and place of origin. There are many health benefits of drinking coconut water. This drink helps in relieving problems related to the urinary tract, intestines and kidneys. Coconut water helps cure urinary problems such as polyutra and strangury. It also helps improve digestion and destroys intestinal worms if taken with a teaspoonful of olive oil for three days. Coconut water relieves the intestines of harmful toxins. It also acts as a carminative, thereby relieving the gas present in alimentary canal. Doctors recommend patients afflicted with kidney stones to drink coconut water in addition to regular medications. Coconut water helps in dissolving kidney stones and allows their easy passage out of the body. Monolaurin, a chemical present in coconut water has antibacterial and antiviral properties. Thus, it is used to kill pathogens such as cytomegalovirus and the Herpes virus. Coconut water is also used to reduce vomiting in patients suffering from typhoid and malaria. It is also used in blood transfusion, since it possesses properties that are similar to blood plasma. Coconut water is also used as a substitute for standard fluid IV - meant for intravenous hydration. Many of us would not think of coconut water as a liquid meant for weight loss. However, this nutrient rich liquid can help boost metabolism by increasing oxygen supply to the body cells. Along with above mentioned uses, coconut water offers the following benefits. It is important to note that most of the coconut water benefits can be availed only when it is fresh; this is because fermentation of this liquid begins once it is exposed to air. The list given below should help understand why coconut water is one of the best natural drinks on earth. Since coconut water is isotonic in nature, it proves to be useful for rehydrating the body. A well-hydrated body finds it easy to get rid of toxins by means of urination. It helps boost the blood circulation and maintains pH level of body fluids. Electrolytes present in coconut water fulfill the energy requirements of body in far a better manner than any other packaged drink; patients of diarrhea can benefit largely from the intake of this energy drink. Intake of coconut water allows to keep tabs on weight gain and also helps control diabetes. Presence of antioxidants in coconut water proves to be of great help in fighting off free radicals. Coconut water is considered to be more beneficial than milk and orange juice. It doesn't contain fats and cholesterol - present in milk. Excess calories found in orange juice too are absent in coconut water. It is observed that coconut water plays an important role in reducing the blood pressure in arteries. It is also used to get rid of the swelling in hands and legs. Coconut water is especially useful for patients as it helps absorb drugs easily. It is observed that coconut water proves to be useful in reducing acne. The cleansing and toning of skin can be brought about by applying coconut water on the face. Coconut water taken from unripe coconuts is an isotonic solution, which replaces the water and minerals lost from the body due to physical activities. Athletes, people working out and all those who are involved in strenuous physical activities need to drink coconut water as it helps them keep themselves hydrated. This electrolyte-rich drink is also a suitable substitute for Gatorade as it contains more electrolytes than most energy drinks. Coconut water is recommended for those with kidney stone problems. People on medications should drink coconut water, as it helps facilitate the breaking up of the stones and enabling the body to flush the stones faster. Since coconut water is free of chemicals, pregnant women prefer drinking this water as a natural way to reduce digestion problems during pregnancy. Moreover, it also increases one's overall health, by boosting the body's immunity. People suffering from high blood pressure have low potassium levels in their body. Since coconut water is high in potassium, drinking it on a regular basis can help reduce the risk of hypertension. Coconut water is almost identical to blood plasma and can be used as an intravenous fluid in regions where medical saline is unavailable. Moreover, it is also a universal donor. In fact during World War II, coconut water was used instead of standard IV fluid, due to the shortage of the latter. Therefore, coconut water proved itself as the salvaging factor during that state of emergency. Children are often inflicted with worms and parents are often apprehensive about giving medications. Well, giving coconut water along with a teaspoon of olive oil can help get rid of intestinal worms. However, one should take this dose for three days consecutively. Moreover, coconut water contains monolaurin, which acts as an antiviral monoglyceride and can kill bacteria and viruses in the body. It can destroy deleterious lipid coated viruses like HIV, cytomegalovirus, herpes, etc. Among the other coconut water benefits, is the ability to reduce infections, especially in the urinary tract. Coconut water consumption is recommended for those people suffering from urinary tract infections. Coconut water will help alleviate the infection and enable the body to heal faster. Dabbing some coconut water onto the skin with sunburns and heat boils can help bring about a soothing effect on the skin. In addition, coconut water is used by sportsmen as a sports drink during exercising, mountain biking, aerobics, etc. Coconut water being a natural drink without any added preservatives, its consumption doesn't lead to any side effects. This drink is loaded with minerals, vitamins, nutrients, sugars and all other natural fluids needed for nourishment of our body. It is important to note that sugar content in the natural coconut water is low and the drink is therefore, safe for diabetics. Coconut water is free of chemicals, and is also safe for babies. Coconut water has not been well-studied. But there's no evidence that it poses side effects. Like fruit or vegetable juices, coconut water seems quite safe. However, coconut milk contains a fair amount of sodium, so it may not be a good choice for people who need to reduce their sodium intake. Fresh Coconut Water is one of the best natural drinks there is. There is no known or reported side effect for its use and consumption. Coconut water is safe even for children and pregnant women. Moderate use of virgin coconut oil or coconut oil extracted by cold press has no known side effects. Excessive consumption of coconut oil may cause diarrhea in some people. Coconut water might lower blood pressure. It can increase the effects of medications used to lower blood pressure. Discuss your use of coconut water with your healthcare provider if you have blood pressure problems. 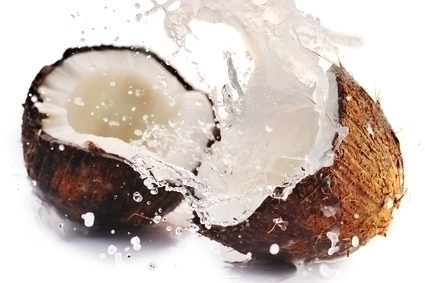 Coconut water might interfere with blood pressure control during and after surgery. Stop using coconut water at least two weeks before a scheduled surgery.